Home / Archive by Category "Bababaloo"
The Nintendo Switch has quickly become one of the bestselling consoles in the world. Part of that is because the console is just that good, it is unique allows you to play your favorite games on the go. Another reason that has made the Nintendo Switch a great console is the awesome game library. There are literally hundreds of great games that you can play on the Switch. Below you will find some of the bestselling games on the Nintendo Switch. 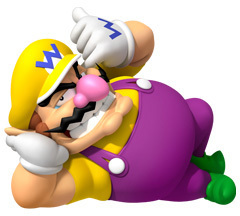 When you talk about the best Nintendo games then it is difficult not to mention a Mario game. Same is the case with the Nintendo Switch, however, this time the title of the bestselling game on the console goes to Super Mario Odyssey. The game was released on the 27th of October 2017, it has now been a year since the game was launched and it has sold over 11 million copies. The Legend of Zelda: Breath of the Wild is one of the first games that was released with the Nintendo Switch. It was released in March of 2017 and it is still going strong. Up until now, over 9.3 million copies of the game have been sold. Mario Kart 8 Deluxe is an awesome game, it is one of the most played games on the Nintendo Switch. The game was released in the April of last year and has sold over 10.3 million copies. These were some of the most popular and highly grossing games on the Nintendo Switch. Although most of these games were released a year ago, people are still buying them. There are also a few other games that could have made this list but they haven’t sold nearly as many copies as these games. 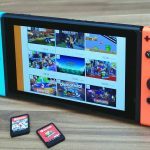 Considering the competition there is in the gaming industry it is hard to believe that the Nintendo Switch has taken precedence over all other consoles in the market as the most sold console. 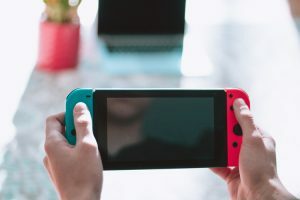 With players like Sony and Microsoft also in the market with their own products, it creates an environment of immense competition, however, there are several factors which makes Nintendo’s Switch a business and gaming success. Current sales stats show a very encouraging and optimistic picture for Nintendo even though the comparisons made are a bit unfair in one way or the other. As of June, Nintendo had sold around 20 million units since its launch that was approximately fifteen months ago. This is a very astounding number considering that the sales trends have experienced just one holiday season so far which is unbelievable. In comparison, the PS4 which is currently at around 74 million in terms of units sold had sold around 20.2 million consoles in about 16 months after its launch in which it experienced two holiday seasons as well. Keeping this in view, Nintendo has done really well and has a lot of potential sales coming its way. Can the Nintendo Switch take over the PS4 as the most sold console? Well, there are interesting predictions regarding this. One important reason why people feel that Nintendo Switch is bound to eventually take over at some point is because the probability of having two PS4s in one house is highly unlikely while on the other hand there are reasons why families can think of buying more than one Switch. This, among other reasons, is why people are betting on the Nintendo Switch to take over however there are some problems with such estimations. Nevertheless, Nintendo’s sales are increasing, and they should be satisfied considering the Switch has already done better than the Wii U and GameCube. Nintendo has remained an important part of the gaming world, it is one of the oldest companies in the world and has no signs of slowing down. The company is known for a lot of different consoles, but more than that they are known for the games that they develop. 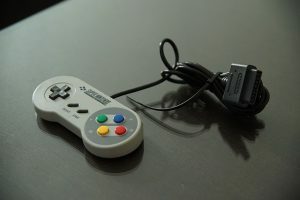 A lot of the games that are released on Nintendo consoles are aimed towards family gaming and that is one of the main selling points of Nintendo consoles. The latest console that Nintendo released is known as the Nintendo Switch and it has become a go-to console for a lot of people. The console is extremely versatile, you can play it in a handheld mode or just detach the controllers from the screen and hook it up to the dock to have a better gaming experience. There are a lot of games that are released on the Nintendo Switch but here we will discuss just some of the best ones. If you are someone who likes musical games, then you will love Just Dance 2019. If you have been a Just Dance fan for a long time then you will love the fact that this year the game is being released on the Nintendo Switch. This game inherits all the important features from the previous games but just makes them a little better so that you get a better experience. Who doesn’t like the wizarding world of Harry Potter? It is every person’s dream to walk in the halls of Hogwarts and even go to the forbidden forest after dark. Well, that is something that you can do when the LEGO Harry Potter Collection releases on the Nintendo Switch on October 30. Diablo is a fan favorite franchise, and although Diablo 3 was originally released on the PS4 and Xbox One last year, it is being released on the Nintendo Switch in November. The Switch version combines two packs namely “Rise of the Necromancer” and “Ultimate Evil Edition” into one bundle. Civilization VI is almost 2 years old as it was released on Windows in 2016 however, this year the company is also releasing the game on the Nintendo Switch. For those who do not know, Civilization is a pretty popular turn based strategy game by 2K Games. The game can be played in either multiplayer or single player mode, whatever you are comfortable with. These were some of the best games that are being released on the Nintendo Switch this year. There are a lot more games that will be released on the console, but these are only the games that everyone is looking forward too. 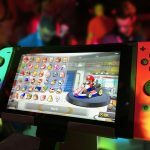 The gaming experience on the Nintendo Switch is completely different to what you are used to with other consoles and that is what makes it special. So, if you are an avid game then you should probably wait for these games to release on the console. 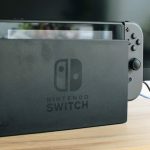 Nintendo Switch: Modifications, How Does It Work And What Is Bundled In The System? The Nintendo Switch is unlike any traditional console that you have ever seen. This is because this console is a hybrid machine, it can be either used in the docked mode or in handheld mode. One of the main selling points of the Nintendo Switch is that it allows the user to play their favorite games everywhere. Since it is not your typical console there are a number of different mods that you can find for it. All of these different mods give the Nintendo Switch some kind of functional or aesthetical advantage. There are a lot of different mods that you can find and some of them are mentioned below. As you already know if you wish to play your Nintendo Switch games on the big screen then you will need to connect it to the dock that comes with the box. However, the dock that you get out of the box is pretty basic and although it gets the job done it has a very simple look to it. This is where the N64 dock comes in, this is a simple modification that you can make to your Nintendo Switch. For those who do not know, the N64 is a classic Nintendo console and this dock for the Switch looks exactly like the N64. It does not add any special functions, but it does give it a cool look. If you are one of those people who think that the default joy-cons that come with the Nintendo Switch look too simple then you will find this modification quite satisfying. 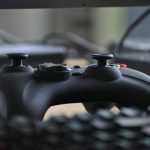 With this modification, you can change your default controllers completely and make them clear. You can see all the internal circuitry of the controller and that gives it a unique look. However, modifying your controller this way is kind of tricky because you need to take the controller apart completely and then put it back together again. Many Nintendo Switch users out there are not satisfied by the d-pad that you have on the joy-con. The default arrow keys are not good quality and not comfortable to use for most people. This is where the modders have come to the rescue. You can now get the classic d-pad for the Nintendo Switch which looks and feels completely different. These were some of these things that you need to know about the Nintendo Switch modifications. As far as modifications are concerned, then you do not get a lot of options in the box. You will either have to do these modifications on your own or buy the products separately. There are a lot of the third party as well as first part modifications that you can find for the Nintendo Switch. With these modifications, you can spice up your Nintendo Switch and give it a much more personalized look. That is something that most people go for when they get the chance. Are you an avid gamer who is excited about upcoming games and is looking at the calendar in wait of those games’ release? Well, then you are at the right place today for we are bringing to you a list of those upcoming games which we are really excited about but do not have a release date announced yet. We bet that this will keep you anxious and excited about all those games that are going to be available in the distant future. We all know how big a hit the entire Bayonetta series has been on the Switch and a third in the series will only make it bigger and better. Gamers have been looking forward to the next Bayonetta game ever since they played Bayonetta 2. Unfortunately, there is no release date announced for this game, so we practically do not know how long we will have to wait before we get to play this game. Another classic game with our favorite childhood characters who continue to be every child’s favorite even today. Mario and Luigi are two Nintendo characters which have gained unmatched popularity in the gaming industry. 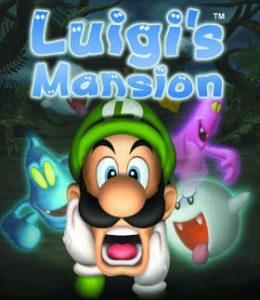 We are all excited about this new edition called Luigi’s Mansion 3 which is expected to release sometime in 2019. 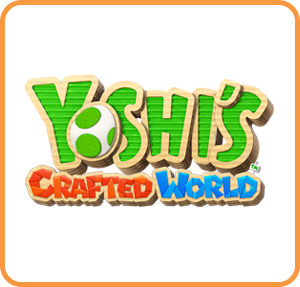 Easily among the top side-scrolling games series on the Switch Yoshi’s Crafted World promises to be another must-play the game on the console. It has attracted a huge following over the years and people are highly anticipating this new game. The release date remains undecided, but it is expected to release somewhere in spring in 2019. If you are a lover of turn-based tactical RPG games, then it is highly unlikely that you haven’t played Fire Emblem. 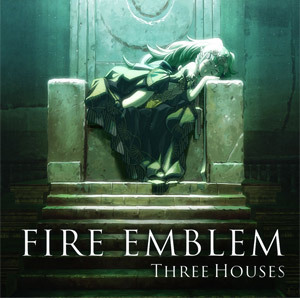 Now, in efforts to maintain their popularity and in order to offer something new to the games Nintendo is coming up with another game in this series called Fire Emblem: Three Houses. The release date is undecided which keeps us at the edge of our seats. Perhaps the best life simulation game on the Nintendo Switch, Animal Crossing, is now headed to the Nintendo Switch. This has got everyone on their toes and extremely excited because who does not want to enjoy this game on the Switch. The release date remains undecided however it is guessed that the release will take place somewhere in 2019. There are plenty of thrilling games that are coming up on the Nintendo Switch apart from these as well. There are many games that are released every month however these were the ones which are far from release for now and hence do not have any release date. We shared this list to keep you interested and so that you look forward to what amazing games are soon going to become available on your Nintendo Switch to enjoy. Hope you liked our list! Happy Gaming! Nintendo has remained an important part of the gaming world. The Nintendo Switch is a hybrid console, this means that it can be used as a home console or a portable one depending on your choice. 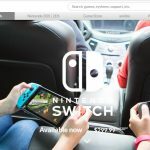 Another Reason why the Nintendo Switch has been growing in popularity is that many third party publishers such as Ubisoft and EA have also supported the Nintendo Switch by releasing games for the console. Copyright 2018. BABABALOO. All Rights Reserved.